JULY 4 — Woo Hoo!!! It appears that the mess has been contained well north of the lake, but official word from on high has not been issued. Look for it soon, though. Griffin is keyed into the point of contact on what’s happening with the situation. But as of right now, ALL SYSTEMS ARE GO! 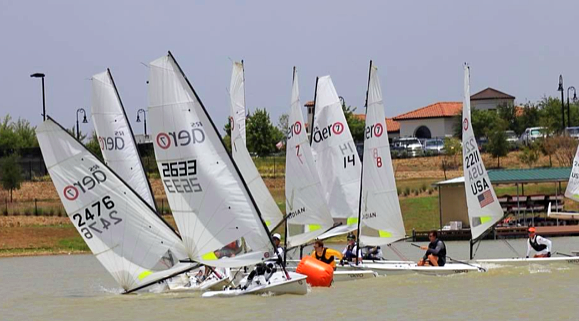 Dallas Sailors made their way to the Second Annual Viridian Firecraker Regatta to give a shot at sailing their 20 brand new RS Aero’s! Conditions were quite a bit more tame compared to our last venture to Viridian with winds from the South(ish) at 5-15 both days. Forest A, Brig N, Griffin O, Alex G, Eric R, and Jack H, all played a part in the fun. Racing was tight and no lead was ever guaranteed with the crazy shiftiness and variability of speed between boats. At times, one boat could be planing in a puff only tens of feet from another boat with limp sails. As pictured above, none of us will forget THE mother of all mark roundings. The leaders were nearing the leeward mark in light breeze when the middle of the fleet hit a puff and started planning, quickly closing the gap. 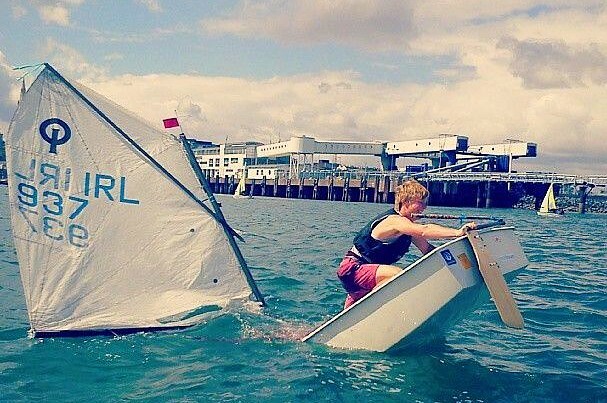 By the time the first boats made it to the leeward mark, the wind was up and the fleet had completely condensed just in time for the carnage to begin! As Brig and several others discovered, these boats can capsize quite easily and unexpectedly. At the end of the event, DLF Sailors ended up 3rd, 4th, and 5th. We look forward to coming back for more! In these unsettled times, we all need a place to get away and share time with friends, food, and libations while we celebrate how fortunate we are to live in the greatest country in the world. The club offers that respite this Wednesday! 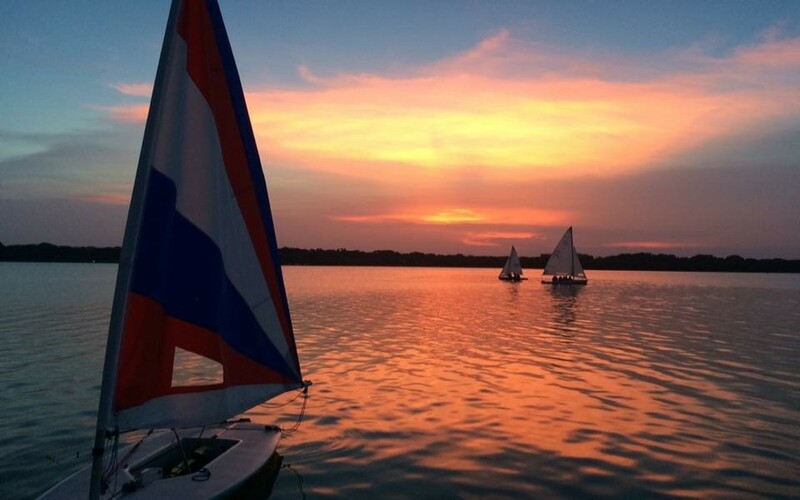 Lets keep in touch and let me know how the Opti sailing goes. I assume it is kids sailing Optis and not you Eric, griffin, forest etc. That would be tragically funny. Main Event — At 7 pm the club party begins, including a band, food, and adult beverages The band is The Grace Pettis Band, food will be burgers grilled up by the appropriately named Hamburger Man, and libations will include beer, wine, water, and sodas. Of course, our club is also a great spot to view the fireworks at Fair Park.